Is Santa Claus a good influence on children, or a bad influence whose image merely commercializes Christmas and who takes the reason out of the season, as some charge? Where did Santa come from? It will surprise many to learn that Santa Claus (as we know him today) came out of the church itself through the charity of a very devout and caring priest. Now bear in mind that this is a true, historically documented account. Out at sea, a ship battled a raging storm. The crew valiantly fought to keep it afloat. Trunks were being thrown overboard to lighten the load as frightened passengers held onto whatever they could to keep from being swept overboard while others huddled in their cabins. The ravaging waves tore some wood from the sides of the ship. "Nicholas...NICHOLAS!" someone yelled frantically. It had been noised about that a man named Nicholas, who was known to be a man of God, was on board. Out of a cabin, in response to the call, came a man with a long white beard. Holding on to the rail of the tossing ship, he began to pray for the storm to cease. As he prayed he lifted his hands heavenward. Miraculously, the storm calmed. The crippled ship drifted into the harbor of Myra. Finding the church, he eagerly approached it. The heads of the elders turned toward the door as it slowly opened. The stately man with the snow-white beard entered, and, focused on the altar, made his way down to the front and knelt in a prayer of thanksgiving. As he rose to leave the elders approached him. "What is your name?" asked one. "Nicholas." was the reply. "God has sent you to us to be our new bishop," said another. The group joyfully fitted the surprised Nicholas with a long red priestly robe and miter. Nicholas quickly became known as, "The Bishop of Miracles," because of so many spectacular answers to his prayers. 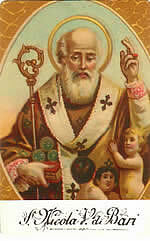 Unlike most priests, Bishop Nicholas was wealthy through family inheritance. In his mind, wealth came from God and belonged to God. The very reason for his existence was to serve God. And that is how he lived his life. As the story of St. Nicholas spread, French nuns in the 12th Century began making annual night-time visits to poor families with children, leaving fruit and nuts, which these families could not afford.The nuns made their gift-giving rounds on what became known as, "St. Nicholas Eve," December 5th. The tradition spread throughout the Old World and across the ocean to the New. Many people to this day celebrate Christmas on December 6th. 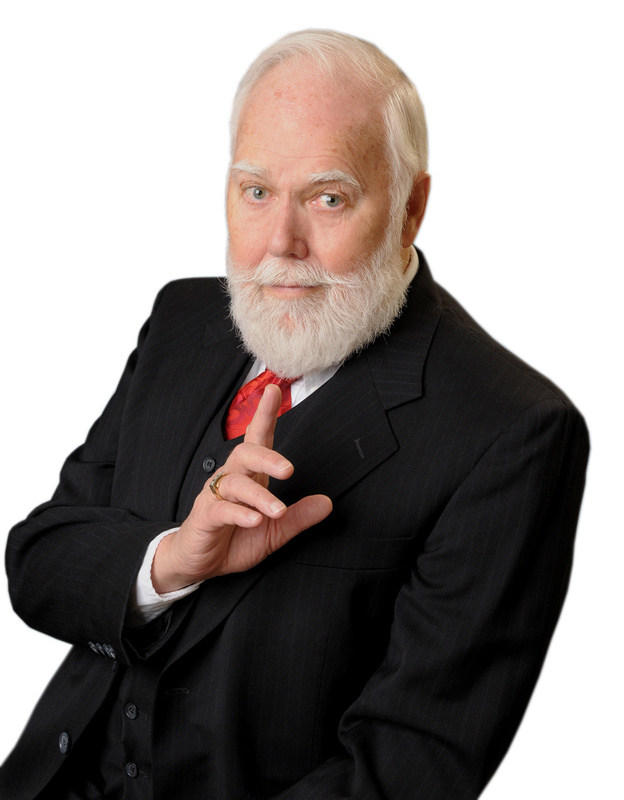 Mr. Moore defined Nicholas once and for all and renamed him, Santa Claus. He had, no doubt, been influenced by the Dutch who named him, "Sinter (Saint) Klass (short for Nicholas) and that had become, "Sinterklass." Others who spoke broken English, knowing that gold had been found on the hearth by the fireplace, started a new legend. The gift-giver came down the chimney and would land in the cinders of burning embers, so they called him, "Cinder Klaussen," which would in Moore's hands become, Santa Claus.